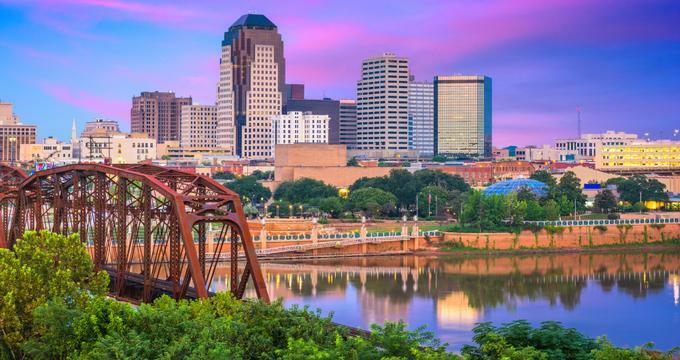 Situated along the Red River, Shreveport is a popular destination in Louisiana. There are plenty of outdoor attractions for those who like to have fun outside, such as spending time at the zoo or parks. 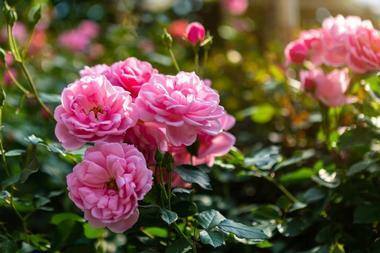 For those who prefer to be indoors, there is even more to do, from museums and art galleries to aquariums and historic homes. Visitors can journey back in time at the Barksdale Global Power Museum and discover Strategic Bombardment’s dynamic history at the Air Force Global Strike Command, the 8th Air Force, and the 2nd Bomb Wing. The museum is both a memorial to the successes the country’s forces have had in battle and a place of recognition for the numerous years that have been spent training in order to deter war. Guests will see a wide array of aircraft, including the B-17 and the B-24 bombers used during World War II and the P-51 Mustang. Six galleries of exhibits help tell the story of Strategic Bombardment. 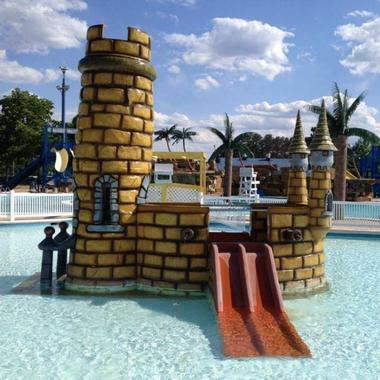 Jubilee Zoo offers General Admission for visitors, as well as event space for birthday parties, field trip programs, or any other event in which people are looking for kid-friendly fun. Visitors can pet the animals at the zoo, as well as feed them, as the animals that call the zoo home were chosen because they can safely interact with people. There are no large carnivores on display at the zoo such as bears, tigers, and lions. Visitors can also ride a carousel, explore the zoo on a safari hayride, enjoy a picnic, play on the playground, and bounce on inflatables. 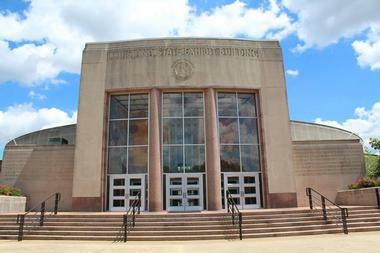 The Louisiana State Exhibit Museum was founded in the year 1939 as part of the Public Works projects created under the New Deal. The museum is considered to be a jewel of architecture, constructed in a style that was ultra-modern at the time it was built. It features twenty-three beautifully rendered dioramas that depict what life in Louisiana was like during the 1940’s. The collection of the museum includes national and regional artifacts, artifacts of Louisiana Native Americans, works of art by local artists, and exhibits focused on natural history. The museum houses an amazing collection of Caddo and Poverty Point artifacts. Located in downtown Shreveport, the Marlene Yu Museum is the town’s first contemporary art museum and offers residents of northwest Louisiana a place where they can connect with the world of nature around them. Named after the artist Marlene Yu, the museum is housed in a former YWCA building that measures 36,500 square feet. The artwork by Yu give visitors a birds-eye look at nature, according to the museum director and Yu’s daughter, Stephanie Lusk. The goal of the museum is the preservation, presentation, documentation, and interpretation of the works and life of Marlene Tseng Yu. Mural-sized painting and art exhibitions are displayed throughout the museum. The Meadows Museum of Art is located at the Centenary College of Louisiana and is an educational department of the College responsible for collecting, conserving, preserving, and interpreting visual works of art of museum quality. The permanent holdings of the museum represent the achievements in aesthetics of an array of cultures from throughout the world. The Permanent Collection features works of art by Alfred Maurer, Mary Cassatt, Emilio Amero, and George Grosz among several others, as well as Jean Despujols’ Indochina Collection. The museum also contains a copy of Albrecht Durer’s The Triumphal Arch of Maximilian I.
Noble Savage Tavern has an interesting menu that changes each week with new chef specials and a variety of beers and other drinks. Every night, guests can enjoy live rock, blues, and Americana music, and the general public can even come and participate in jam sessions that are hosted by local favorites on Tuesdays, Wednesdays, and Thursdays. The menu at Noble Savage is pretty wild, featuring items such as Medallions of Kangaroo Loin with sweet chili peanut sauce. Drinks include fine beer, cocktails, and wine as well as single malt scotches. The regular food menu is offered until midnight. The Pioneer Heritage Center offers answers to many questions about the pioneers who settled in northwestern Louisiana. The center explains who the pioneers who settled the state’s northwest corner were, where they came from, how they lived their daily lives, how they adapted to the area’s untamed frontier, and much more. The Pioneer Heritage Center was founded in the year 1977 as part of a project in collaboration with the Junior League of Shreveport and the Louisiana State University in Shreveport. Visitors are guided through the structures offering insight into the pioneer’s daily lives, the natural environment, and cultural history in northwestern Louisiana.  The Sci-Port Discovery Center offers both an educational and fun environment for visitors of all ages to actively engage in and explore the world of technology, science, and mathematics. The goal of Sci-Port is to spark curiosity in its guests about the world around them. They offer numerous hands-on activities used for scientific discovery in people’s daily lives and encourage a love of life-long learning. The complex features numerous interactive exhibits, an IMAX dome theater, and a planetarium. The immersive IMAX experience lets guests “feel” the film in a thrilling and realistic way. The Sci-Port IMAX Theater is the only one of its kind in Louisiana. The Shreveport Aquarium offers a look at the underwater world filled with wonder. Visitors can make their way through tropical lagoons, dark ocean caves, creaking shipwrecks, and coral reefs bursting with bright colors. Guests can get up close to jellyfish, rays, sharks, and many other species of marine life through one of several touch tanks found within the aquarium. A large amount of diversity and variety can be seen in the Shreveport Aquarium’s freshwater domed gallery. Visitors can also travel to the ocean’s depths to see strange creatures that hide in the dark in the deepest waters. The Shreveport Railroad Museum is housed in one of the Shreveport Water Works Museum’s auxiliary buildings. Opened to the public in 2013, the museum offers a glimpse into the use of steam in transportation throughout history. The museum is a project of the Red River Valley Railroad Historical Society, which a small number of railroad enthusiasts founded in 1981 in Shreveport. The goal of the Shreveport Railroad Museum is to display artifacts, photographs, documents, and memorabilia associated with the railroad industry, as well as to provide visitors with activities related to the railroad, such as train operations, photography, and train rides. The Shreveport Water Works Museum is housed in what used to be the McNeill Street Pumping Station. The site is unique in the fact that it is both a National Historic Civil Engineering Landmark and a National Historic Landmark. The Pumping Station was established in 1887 as the first water plant in the city. The complete plant, including all of the filters and pumps, still remains in place today after over one hundred years of being in service. It serves as a rare intact example of a steam water works. Visitors can explore the museum on their own or with a guide. The Spring Street Museum is situated within what is considered to be one of the oldest structures in Shreveport, dating back to the year 1865 and featuring cast iron grillwork. Throughout its history, the historic building has housed a bar and a bank, with the ornate and heavy vault door of the bank still in its place. 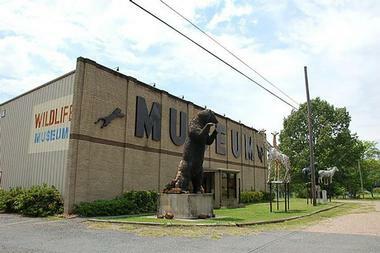 The focus of the museum is on the area of Shreveport’s history, and the museum is noted on the National Register of Historic Places. Visitors can explore the history of the city free of charge at the Spring Street Museum, where they will learn through interactive exhibits and artifacts. The Other Side of Louisiana’s musical roots are soulful and run deep, from Huddie “Lead Belly” Ledbetter to Elvis Presley. Both history buffs and music lovers alike will enjoy the Stage of the Stars Music Museum, located on Elvis Presley Avenue, a befitting location. Lead Belly and Elvis Presley are just two of the artists showcased at the museum, which shares stories of the legendary places and people of the area who have had an impact on the music scene of America. The museum displays memorabilia from the Louisiana Hayride, a radio broadcast that helped launch several music careers. The Logan Mansion is full of adventure, history, a just a tad of spookiness. 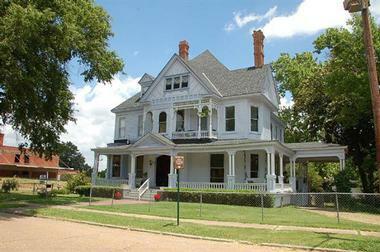 The home is a beautiful house built in the Queen Anne style and is situated on the outskirts of downtown Shreveport. Nathaniel Sykes Allen originally designed the house for beer distributor and ice manufacturer Lafayette R. Logan in the year 1897. The Logan Mansion is now the residence of Vicki and Billy LeBrun, who have been working to restore the house to its original splendor since 2005. The couple love to share information about the historic mansion with the public through narrated tours. The Touchstone Wildlife and Art Museum houses over one thousand stuffed and mounted animals that are on display in simulated natural habitats featuring hand-painted backdrops. The museum displays an interesting mix-up of war memorabilia, taxidermy, and Native American artifacts, displays, and dioramas. Visitors can even watch as staff and artists work on creating new displays. Natural habitat displays of animal skins include an extremely rare snow leopard and a family of zebras among several others. Guests at the museum can also explore an array of other displays that are seemingly unrelated, such as the Civil War, Bonnie and Clyde, and Star Trek. The Walter B. Jacobs Memorial Nature Park in Shreveport is spread across 160 acres of oak-pine-hickory forest that can be accessed by five miles of trails for hiking that feature interpretive signage along the way. 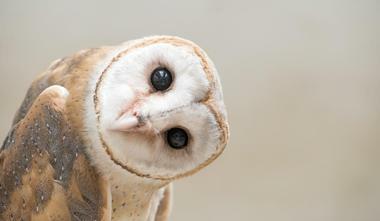 Exhibits featuring live animals include the deer enclosure and the Bird of Prey aviary. The nature park includes a visitor center that houses several hands-on exhibits, live animals, a play area for children, restrooms, and a classroom. A covered pavilion picnic area offers space for programs and groups. Staff of the park also offer an array of educational programs throughout the year. The Shreve Town Ghost Walk is led by a guide dressed like a streetcar motorman from the nineteenth century. The ghost walk lasts around ninety minutes and travels along a trail of about half a mile in length. The tour starts and finishes at the Caddo Parish Courthouse, which is the site where the Confederate flag flew for the last time at the Civil War’s end. It’s said that The Butterfly Man, who was hanged in 1932 at the courthouse, now haunts the site. The Ghost Walk also includes several other historic buildings in downtown Shreveport, such as the opera house. Located in downtown Shreveport in the Red River District, Bon Temps Coffee Bar serves a variety of beverages, including coffee, hot chocolate, mochas, and many others. The coffee shop is also a venue for live entertainment, with instrumentalists during the day and bands at night. The idea behind Bon Temps is to create someplace where people can gather that’s not quite the norm. The owners are aiming to make coffee seem a bit more social, as well as let people know they can enjoy it alongside music as a social staple. The coffee shop is a combination of coffee, blues, and jazz. 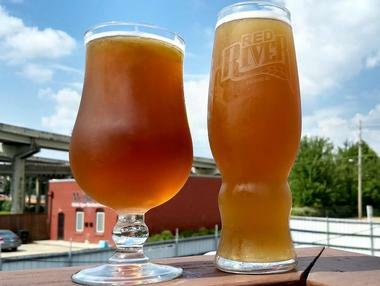 The Red River Brewing Company offers views of downtown Shreveport and an inside glimpse into the brewing and bottling process of the beer company. Guests can take in views of the downtown skyline from the taproom, which is decorated using repurposed wood originating from barn structures in the area. There are five to ten taps devoted solely to Red River beer in addition to other beers. The brewery’s flagship brews, such as Hay Ryed, are available in the taproom among several others. Food trucks are often on site as well. The brewery is quite popular and has grown from being a brewhouse with five barrels to twenty. Ferrier's Rollin' In the Dough, owned and managed by Katherine and Robby Ferrier, first opened its doors to the public in the year 1997 on November 8th. 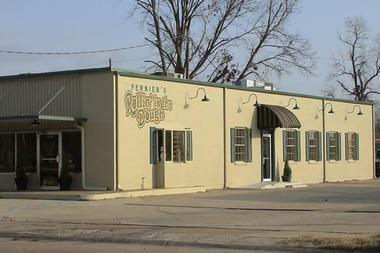 It is both a bakery and a restaurant, offering homemade baked goods and meals. Guests can stop in and see Robby making the bakeshop’s famous made-from-scratch buns that are used for sandwiches and burgers. The business began as a full-service bakery, offering homemade breads and a wide variety of pastries for breakfast. The location of the shop, however, proved to be not conducive for products such as these, so a lunch menu was introduced.